Looking for great groomsmen gifts? 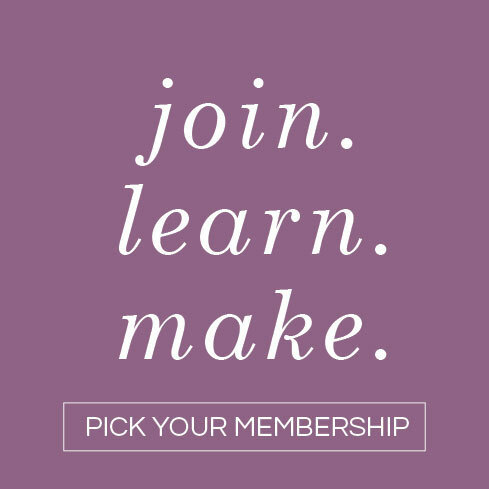 The best gifts are thoughtful and unique—and it helps when they’re affordable, too! If your buddies enjoy beer (or kombucha! ), they’ll love getting this growler as a groomsman gift. We made these growlers along with our DIY globe guest book for our digital marketing analyst, Jessica, and her future husband. 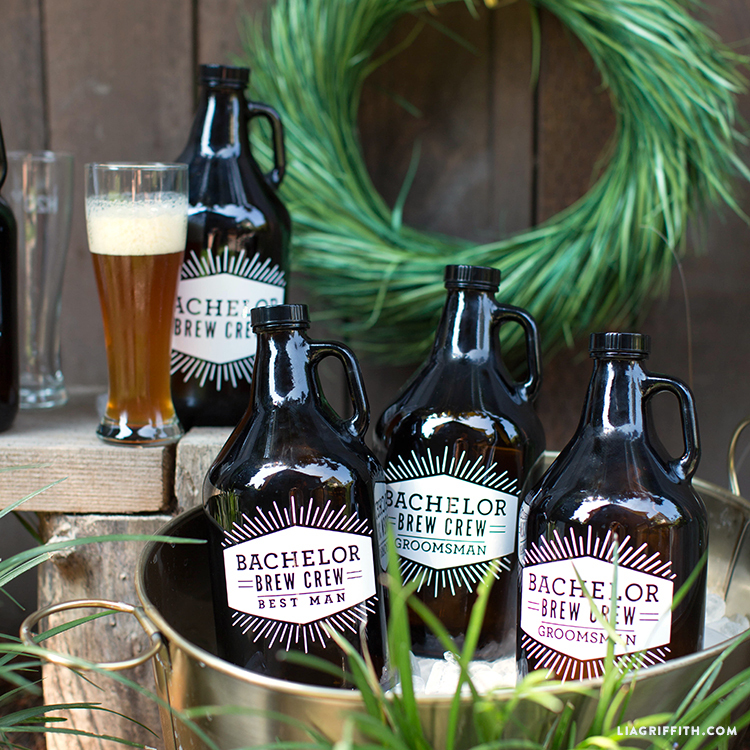 You can give these growlers as groomsmen gifts during your bachelor party, after the rehearsal dinner, or the day of when you’re all getting ready together. 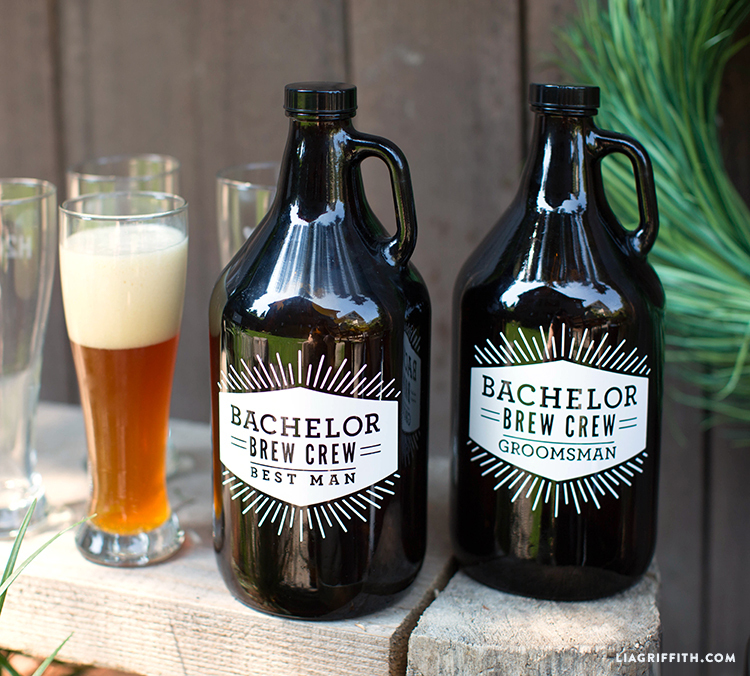 You could also use this growler as a fun way to ask your guy friends to be your groomsmen. 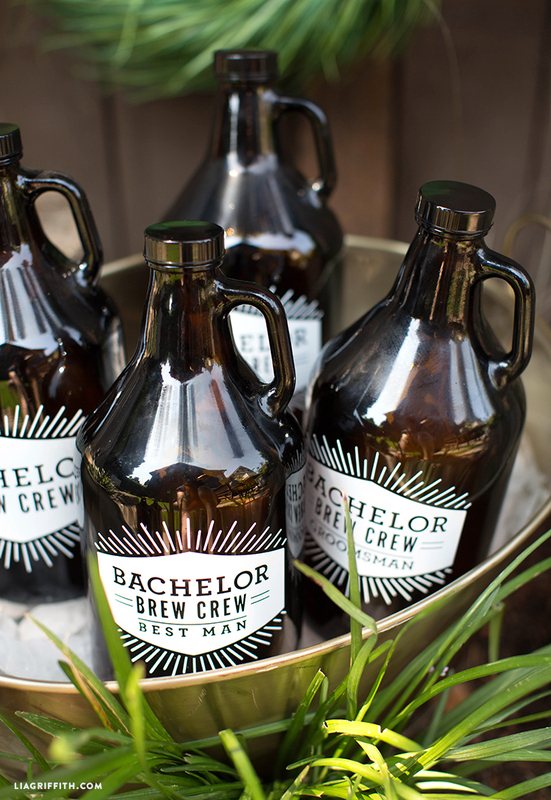 We even have a vinyl growler decal for the best man! If you’re in the midst of planning your wedding party, these “Will you be my groomsman” cards can be personalized and added to your groomsmen gifts. These tags are another option—and we have them for bridesmaids, too! All you need for this DIY gift is your cutting machine (or printer) and two simple materials—along with your growler, of course! 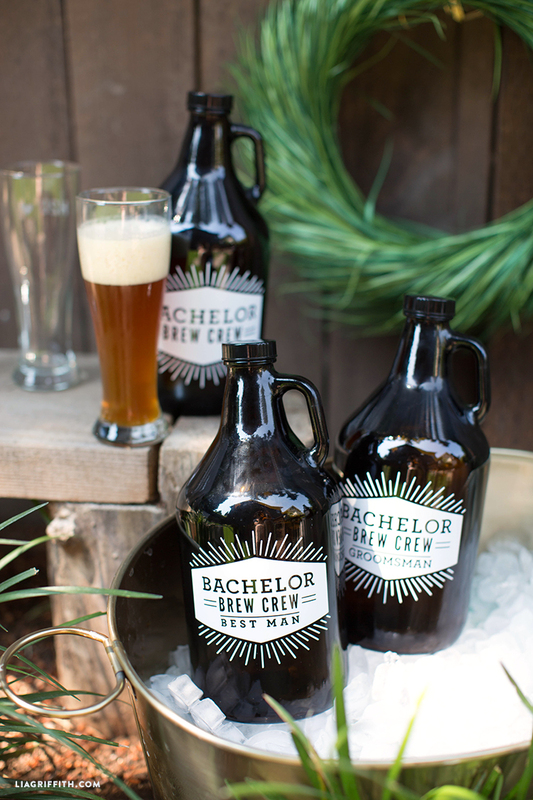 Once you make your growler, gather your guys together and surprise them with these amazing groomsmen gifts. You could even fill these growlers up with each guy’s favorite beverage. Download the SVG file below and make sure your growler surface is clean and dry. 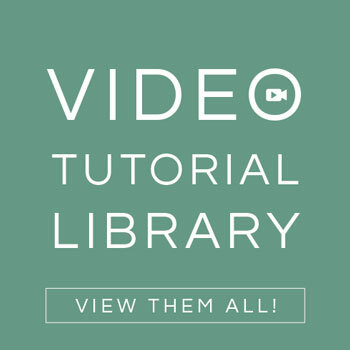 Cut your design onto the vinyl, and weed the excess vinyl from your design. Use transfer tape to easily attach your design to the growler. If you’re still getting the hang of your cutting machine, here are some tips for using SVG cut files. Don’t have a cutting machine? 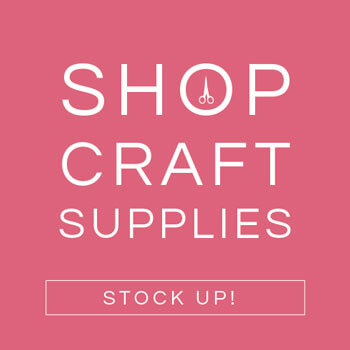 You can print the PDF on this printable vinyl sticker paper. We used white vinyl for this DIY growler, but these decals can be cut from any color of vinyl. Cheers! These are really cute. We didn’t have groomsmen at our wedding, but if we did, these would have been great gifts.